Tired of taking your eyes off the water to dig through poorlydesigned head unit menus just to adjust the balance between your in-boat and tower speakers? Tired of spending obnoxious sums of cash on head units so crammed full of gimmicks that the audio quality is a mere afterthought, when all you REALLY wanted was convenient zone control? 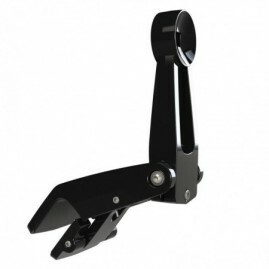 The adjustable Elite Mirror Arm cleans up your windshield area by placing the mirror up and into a clear view of the rider. 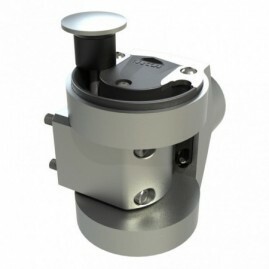 Designed to work with four point towers, Its universal mounting design features numerous points of articulation for unlimited adjustment and a range of available clamp inserts to fit up to five sizes of tubing. 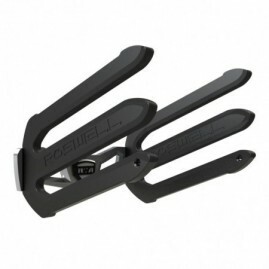 The MAG Swivel is the world’s first magnetic board rack swivel and is a true OEM upgrade for any Roswell board rack. 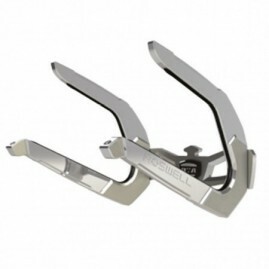 The MAG Swivel’s patent pending magnetic technology offers a smooth and easy to use operation for any age. 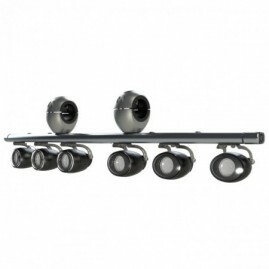 Roswell’s Nightwater L6 LED underwater lights offer yet another way to customize your boat. Red LED lights with clear lenses, these underwater lights are guaranteed to add a unique element to your boat and will keep you going long into the night. The Elite SS In-boat Speakers feature custom stainless steel grills and Focal Access 165AC coaxial speakers. 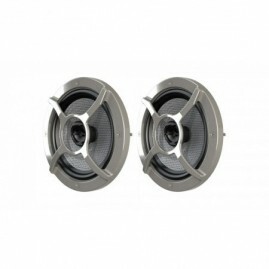 Aluminum alloy tweeters that can rotate a full 180º present a brightness that can help bring a balanced sound to the ear, even with less-than-ideal stock speaker mounting locations. 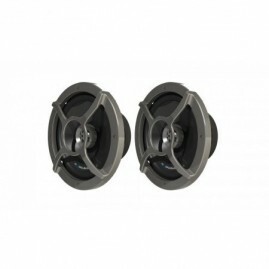 The RMA 6510 coaxial speaker delivers a wide range of sonic depth, focusing on mid bass level performance and balancing the higher frequencies for a uniform sound. A staple of the Roswell Marine Audio lineup, these speakers are hard to keep on the shelves; people can't get enough of them! The Classic Rack is your standard introductory board rack and is the perfect upgrade for your Classic 51 Tower. With a customized curved backing plate and integrated over moulded tines, the Classic rack is a modern take on a classic product. 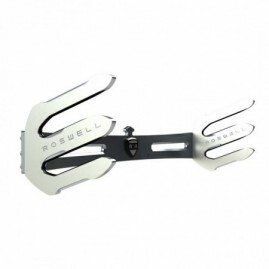 Compatible with the Roswell Mirror, Roswell's new Windshield Mirror Mount includes an adjustable mounting clamp designed to fit most windshield headers with a soft rubber padding to prevent any damage. 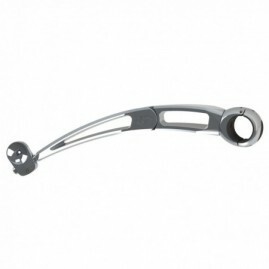 The articulating mirror arm and clamp are perfect for optimal mirror positioning for a clear view of the rider. 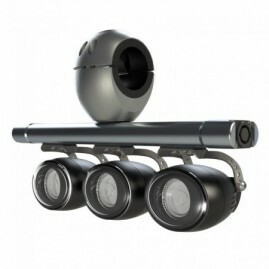 The Nightwater Series underwater features a clear glass lense, polished 316 stainless steel housing ring, and 12V LED’s. 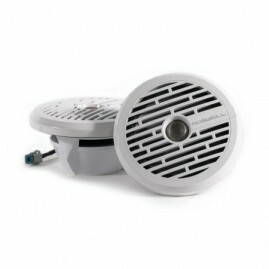 Nightwater series lights also boast a lamp life of approximately 50,000 hours. The SI Surf Tines can easily be added to the Area 52 SI Tower. They are interchangeable with all current Roswell racks including the SI Team and Caddy racks, and other Roswell OEM manufactured racks including Cobalt, Glastron, as well as certain Supra and Moomba racks. “This towable is unique. 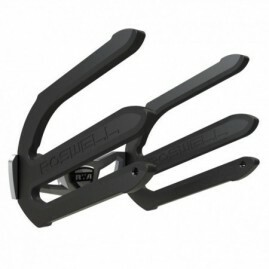 It’s different than a tube, different than a kneeboard, and is a great new revolutionary product for the watersports industry.” says Robert Oswell, President and CEO of Roswell Wake-Air. The Elite Board Rack kicks off Roswell's first major rack update in nearly a decade. With a completely redesigned brushed anodized backing plate, over moulded tines (also available separately), this rack holds two wakeboards with our trusted bungee strap. Compact and robust, our Elite C3 Light Bar has three individually articulating spot lights and makes a great accent lighting addition to any boat. Mounted with an included universal clamp. The Elite Surf/Wake Rack is Roswell's update on the much beloved surf rack. 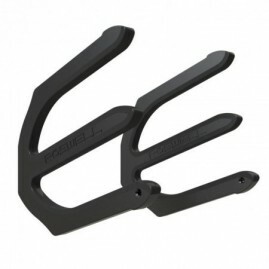 Complete with a redesigned brushed anodized backing plate, overmoulded surf tines (also available separately), this rack holds one wakeboard and one surfboard with our bungee strap. Roswell's Elite Dual Surf Rack is a fresh addition backed by popular demand. With our new brushed anodized Elite backing plate, overmoulded dual surf tines (also available separately), this rack holds two surfboards securely with our bungee strap. The Elite Dual Surf Rack is basically the surf rack of your dreams. The Elite Ski Rack continues to be a distinct and popular option in our rack lineup. With a brushed anodized Elite Ski backing plate, brushed clear coated ski tines, this rack holds one pair of water skis with an updated bungee strap. The Elite Ski Rack is probably the sweetest way to store skis on your tower. This lightbar tower lighting features a brushed anodized aluminium finish with 316 stainless steel bracket. 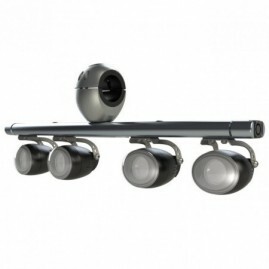 Lightbars come with dual speakon quick connectors and lights can be rotated to face front and back. 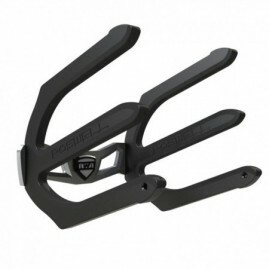 The Elite Kneeboard Rack is back and better than ever. With our new brushed anodized Elite backing plate, brushed clear coated kneeboard tines (also available separately), this rack holds one kneeboard or any other large board you may have laying around. 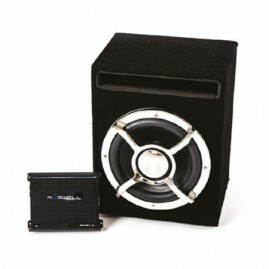 Roswell's RMA 600.1 Amplifier is a mono channel super-efficient Class D design. Complete marine grading highlights the quality of materials used to protect against harsh marine environments, including conformal coated PCB boards and gold plated RCA and wire terminals. 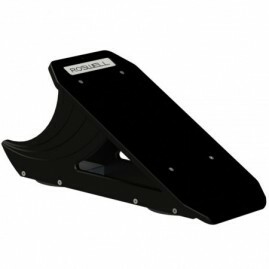 Roswell’s new Deflector wake shaper installs in a matter of seconds and provides a clean, surfable wave. 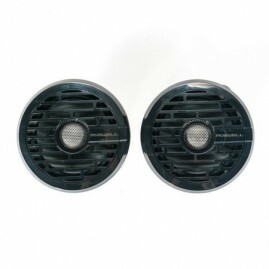 The Deflector’s made of marine friendly materials that will hold up to the environment. 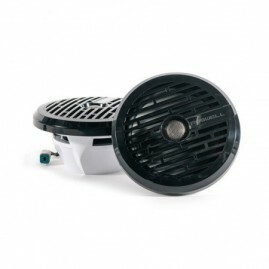 The Roswell Nightwater Pro LED underwater lights are the smartest lights in the industry with built-in protection for reverse polarity, low voltage, over voltage, and temperature protection these lights run as well out of water as in water. Versatile and functional, our Elite C6 Light Bar has six individually articulating spot lights and is perfect for night time loading and unloading, docking, and trailering. Mounted with a pair of included universal clamps, the Elite C6 Light Bar features an incorporated LED interior light for increased in-boat visibility. Roswell's RMA 800.5 Amplifier is a bridgeable 5-channel class D design that features an extremely flexible crossover network allowing full range, high-pass, low-pass and bandpass applications. 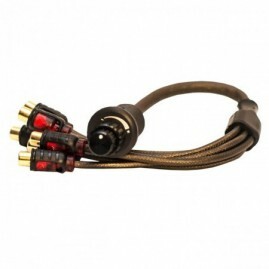 With conformal-coated PCBs and gold-plated RCA and wire terminals to stand up to harsh marine environments. 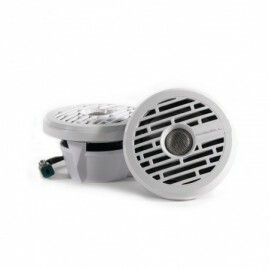 The 1211 DVC Ported Sub Enclosure is made from 3/4" durable waterproof plastic that will not swell, mold, rot, or fall apart like traditional materials.